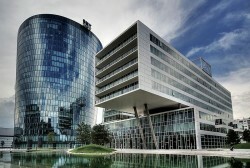 According to estimations, OMV recorded better results in the last quarter than in the third quarter of the financial year 2011. Net Profit after minorities is expected to amount to € 269m in the fourth quarter of 2011. In the third quarter, net profits reached € 233m, in the fourth quarter of 2010, net profits totaled € 216m.